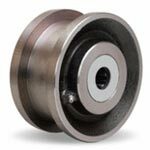 Flanged wheels offer high capacity tracked workflow options. 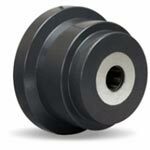 Choose high capacity selections from single and double flange wheels. For flange wheel bearing options, wheel types including Nylon, and custom specs, give our expert sales team in West Reading, PA, a call at 1-800-215-8220.